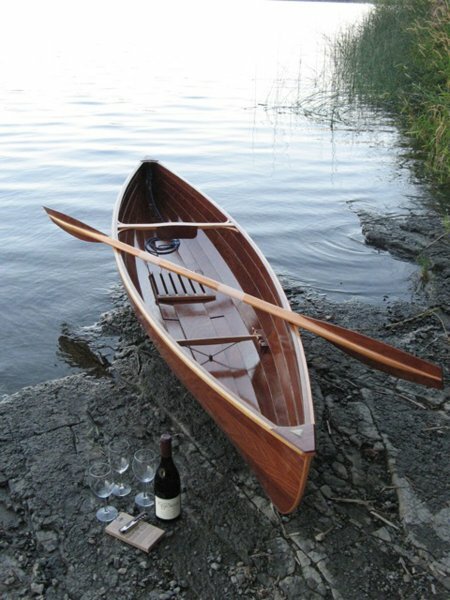 The MARY OLIVER, built for photographer Amy Melious, is named for the poet, and for all poems inspired by nature. 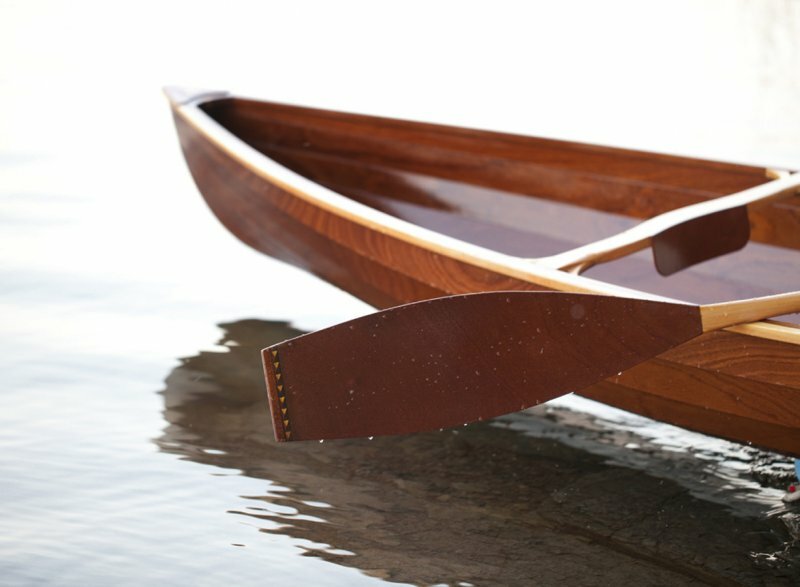 The designer and builder, Martin Herbert, looked hard at the work of J. Henry Rushton as well as commentaries on the type by Iain Oughtred. 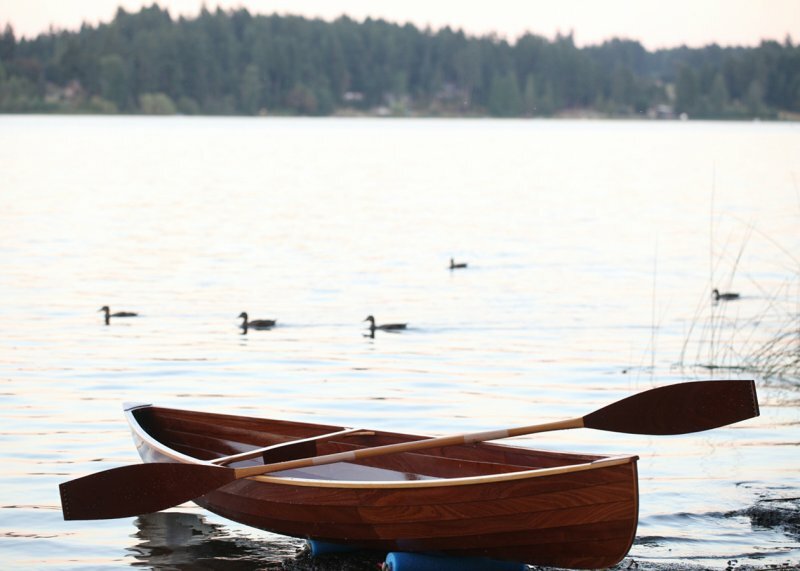 This double-paddle canoe is 11′6″ x 28″, built with glued-lapstrake construction using Bruynzeel 4mm plywood and weighing 38 pounds. 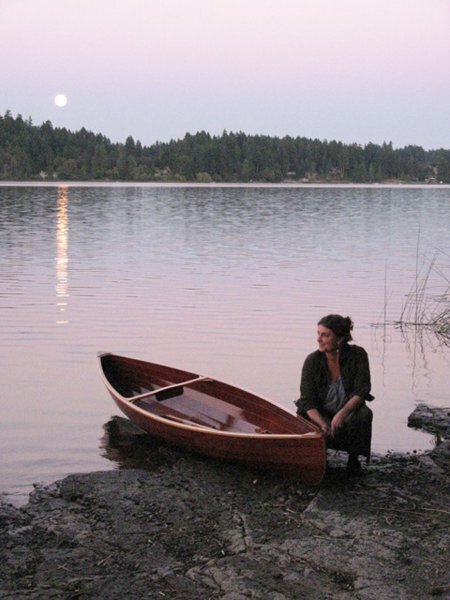 Amy will be using the MARY OLIVER on island lakes and coastal shorelines in the Salish Sea. 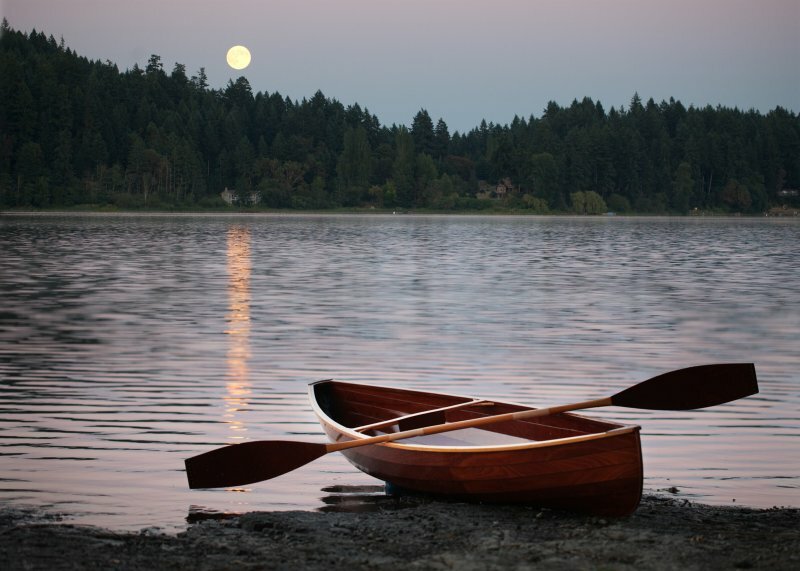 The boat was launched into St. Mary Lake, Saltspring Island, on July 22nd, 2013, under a full moon.